This image of a rock formation at Lake Mungo is actually a colour image and not a B&W conversion. 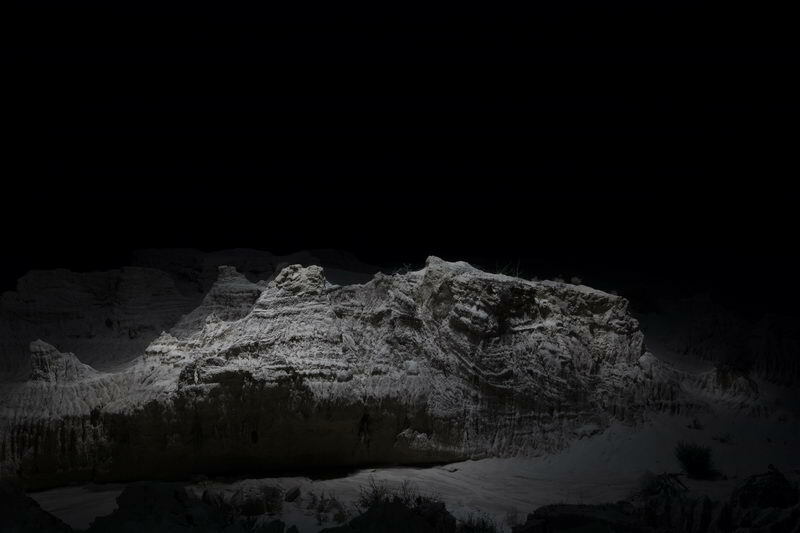 This is the natural colour of the rocks when lit by pure white LED's from a drone. Some green can be made out on the small bushes to the right.